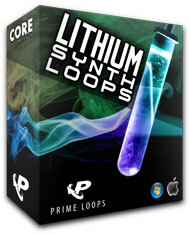 Lithium Synth Loops, Synthesizer Sample from Prime Loops. For this new collection, Prime Loops says many of the sounds were created using Modular Synthesis, thanks to the Moog Voyager and her relevant extra boxes. The Studio Electronics ATC1 made a lot of the acid basslines, Prime Loops says. The delays and FX were made by linking up all of the above with a range of Moogerfooger pedals. The material was recorded through a Fireface 800 @ 88,200 32bit, then rendered down to 44,100 24bit. Artist such as Richie Hawtin, Luke Vibert, Jeff Mills, Josh Wink, Underworld, Carl Co, Laurent Veronnez, Sasha, Mike Dierickx, Matt Darey, Vibrasphere, Armin Van Buuren, Brian Transea, 20:20 Sound System, Dave Clark, Laurent garnier, James Zabiela, Simian Mobile Disco, Digweed are said to have played a role in the influence of this sample packs creation. Formats: WAV, Acid Loops, MPC, FL Studio, Apple Loops and more. 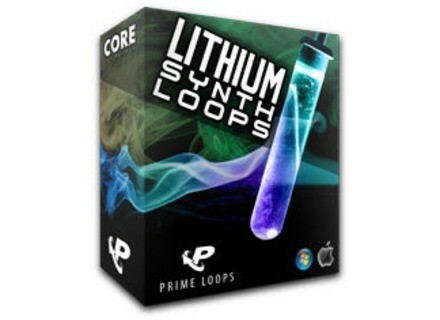 Lithium Synth Loops is available to download for £13.46 (while on sale) or £17.95 from the Prime Loops website, visit www.primeloops.com/loops-samples/product/lithium-synth-loops~120. Prime Loops Filthy Electro House Sessions This collection has been professionally mastered, processed, tried, tested, tested again, formatted and then compiled into over 5 different and easy to use sections. Prime Loops Presents: Drum Addict Drum Addict is the 3rd and final sample pack in the Addict Trilogy - This one concentrates on drum loops and is designed to compliments its sister releases Synth Addict and Bass Addict. Cockos Updates Reaper 3 Cockos has updated Reaper to v3.161.